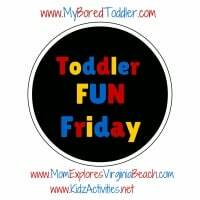 I am always on the look out for fun activities for my little ones that won’t cost me a fortune in extra items needed for doing them. I decided to gather together a list of 10 great activities using items commonly found around any home. Some of these are mine, and some are from other bloggers who graciously gave me permission to share them. All of them pass the penny pinching test, as well as the fun for kiddos test. Click the blue links for each activity! I hope y’all enjoy! There you go! 10 awesome activities for your little ones! Which would you like to try first? 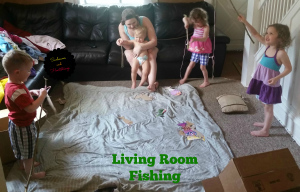 For more activities for your kids that are fun, cheap and educational, check out my blog posts Dollar store education: Color sorting blocks and Pompom Pickup! Categories: Frugal Family | Tags: baby food jar, back to school, busy box, busy boxes, busy boxes for toddlers, cloud dough, cupcake wrapper crafts, egg carton crafts, green living, green living crafts, homemade paints, make your own play dough, ninja turtle apples, reduce reuse recycle, reusing egg cartons | Permalink. The Ninja Turtle apples are too awesome! Aren’t they? I love those! I have a stack of egg cartons that need a craft. Thanks for sharing these ideas at #made4kids. Look forward to see you again on Sunday! I save up household items for crafts, too. Thanks!